Parish Mission: To live the Good News so joyfully, we can't help but proclaim it! Parish Goal: To become an Amazing Parish that fosters discipleship and equips disciples to share the Good News. Unleash the Gospel Resources can be found by clicking here. 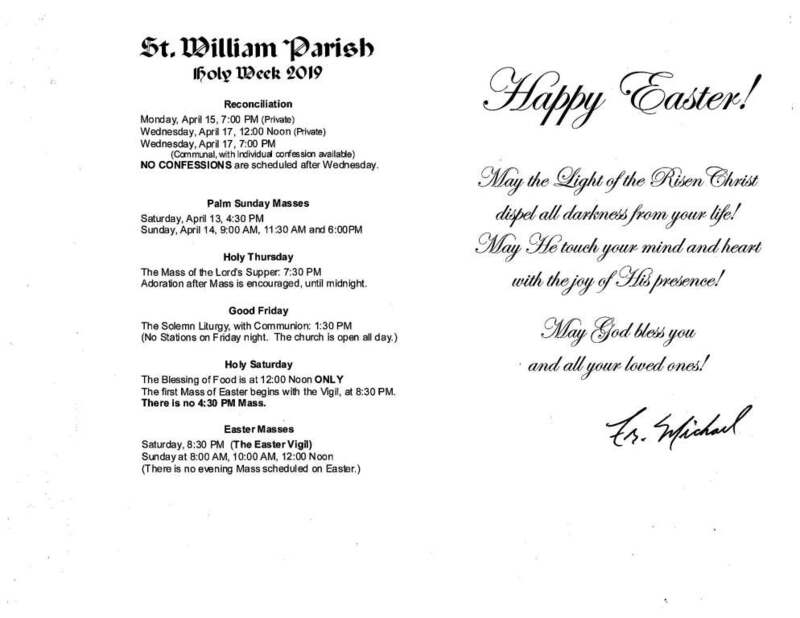 You will be re-directed to the Archdiocese of Detroit. social activities. First and foremost, of course, is prayer and worship. 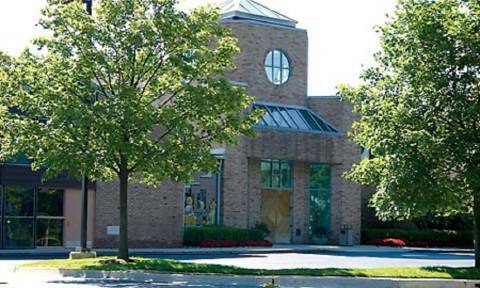 The parish is located in the heart of Walled Lake, near Pontiac Trail and Maple (15 Mile). Our parish boundaries incorporate approximately 45 square miles, including all of Walled Lake and Wixom-and parts of West Bloomfield, Commerce, and Novi. The parish is comprised of some 1900 registered families. New members consistently report how welcomed they feel as they join our community. 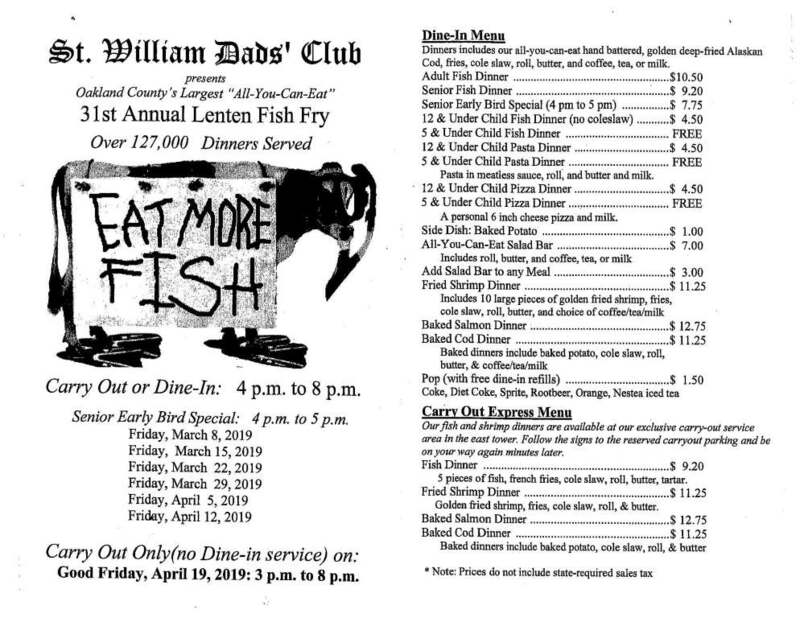 Contact the parish office for registration information. The office phone number is (248) 624-1421. 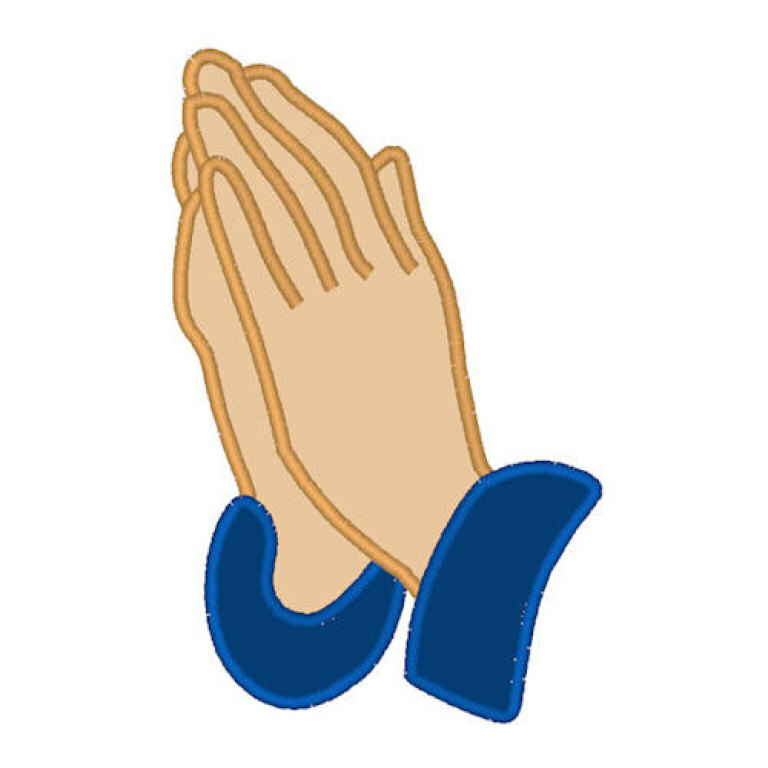 Periodically there are opportunities to register new parishioners after Mass. The Divine Mercy begins this Friday. 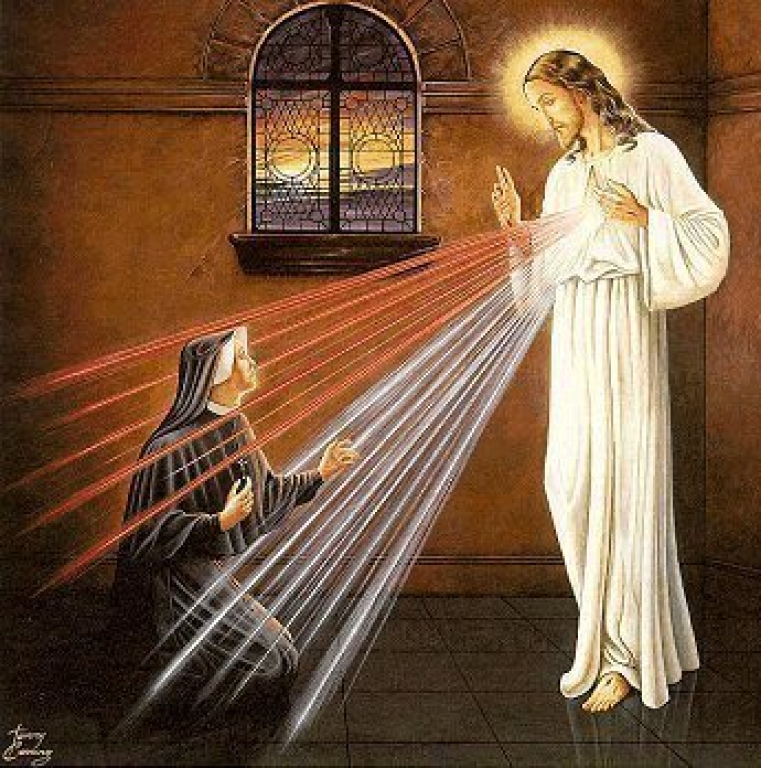 Jesus gave this novena to St. Faustina and asked it to be prayed for the 9 days between Good Friday and Divine Mercy Sunday. There are novena flyers in the kiosks and you can also click here to download the novena and the prayer instructions from the Centre for Divine Mercy. Shelter Week Sign Up is OPEN! Please use the following link to volunteer or donate food and supplies for our guests! All volunteers at the parish and school need to attend the Protecting God's Children program sponsored by the Archdiocese. In addition, volunteers who regularly are entrusted with unsupervised contact with a child, the elderly, or persons with disabilities also are subject criminal history background checks. Background check forms are available at the rectory office. To sign up or search for an upcoming Protecting God's Children session, please click here. To donate to 2018 CSA, click BELOW. 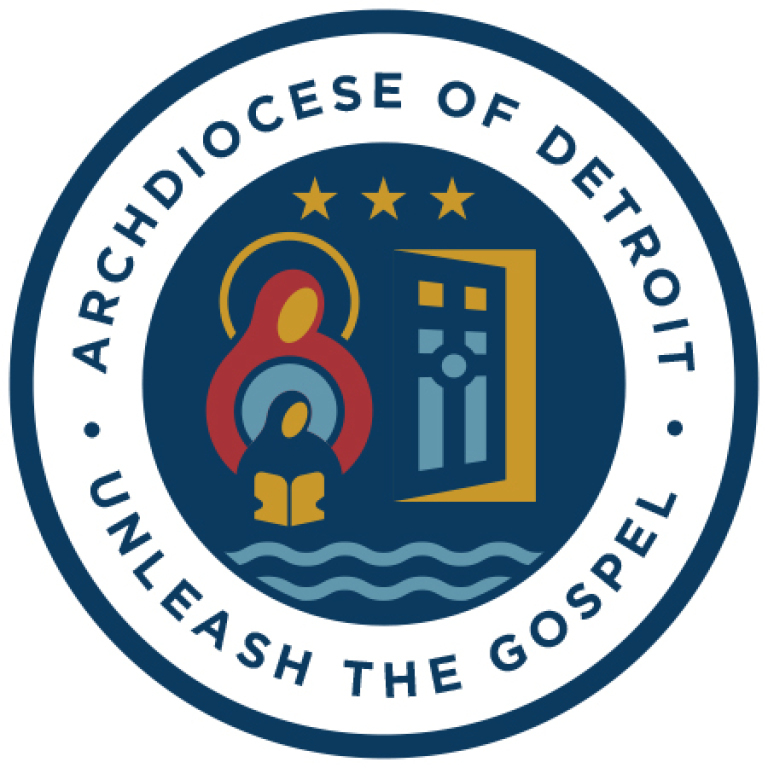 The link will take you directly to the CSA donation page at the Archdiocese of Detroit where you can either set up a pledge (you must sign up for a new account) or make a QUICK GIVE for one-time payments to CSA. FORMED is finally here! What is FORMED? It’s the Catholic “NETFLIX” and more, and we’re making it FREE to all parishioners! This website is easy to use. We hope that it can help our parish grow in discipleship and in knowledge of our faith. Suggestion: Look at the readings before listening to the homily. Easy to do by visiting the U.S. Bishops’ website, http://usccb.org. There’s a calendar on the front page. Click on a date and it displays the readings! 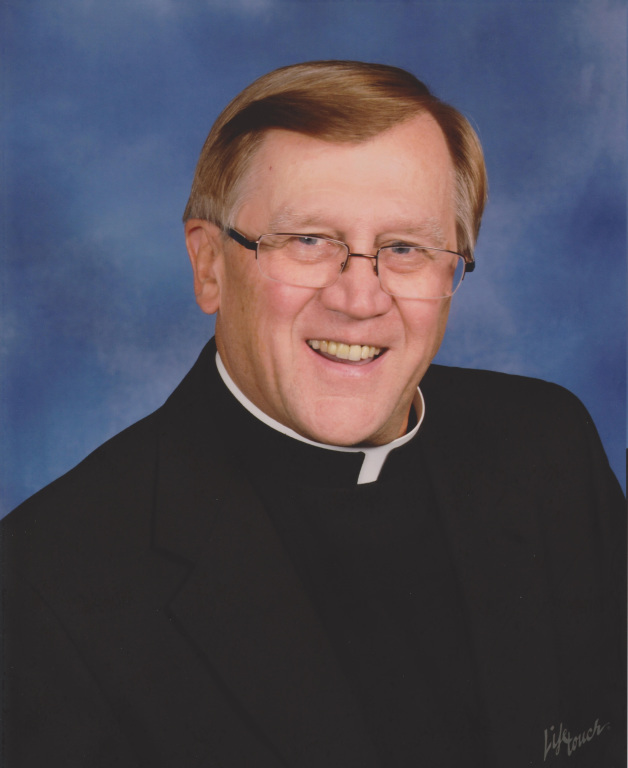 Father's homilies will be updated in early 2019! Stay tuned!